I studied lashing on my second year in the university. I have worked as a lash artist for a bit more than 4 years and 3 years as a physiotherapist. My first working positions were terrible! Now I am smarter and would like to spread some recommendations with others in order to work (and feel) better! Always use a regulatable chair which supports your back. Legs have to reach the floor, if needed (if you are shorter), use a support for the legs (for example the green wedge on the photo below). Your legs have to fit under the table/chair! If you are too far from your working area, you have to bend forward excessively. 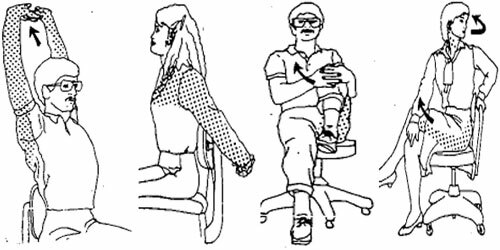 The height of your working area should be also regulatable in order to prevent being hunched or raising your arms too much. This brown tiltable chair shown on the picture below is not good for a taller technician. 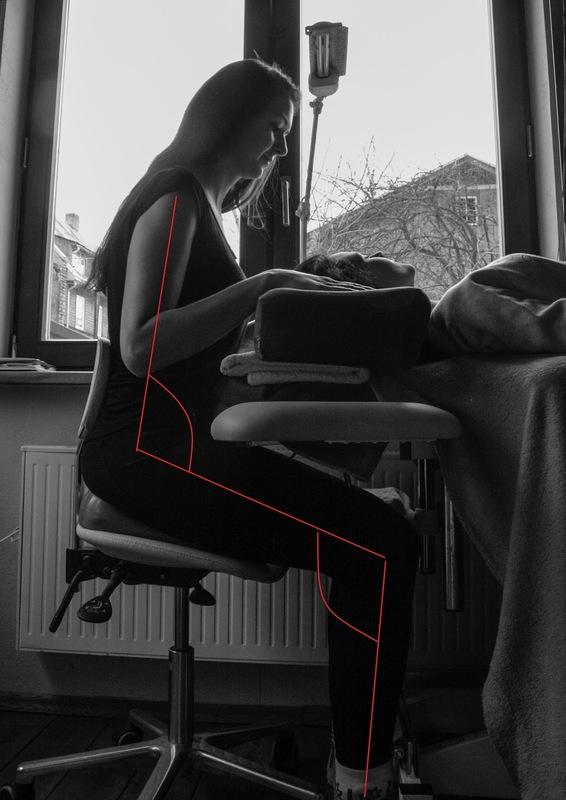 The angle between the lash artists body and thighs and also in the knee, should be more than 90 degrees, not less! To achieve this position use your regulatable chair or sit on a wedge pillow. There are a lot of different wedge pillows on the market. I recommend a NON-inflatable one, because sitting on it the whole day is very tiring. You should be able to disinfect your pillow, use a changeable cloth on it to prevent swetting. 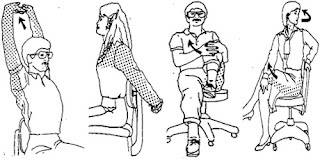 Take care that the chair doesn´t clench the back of your knees. This obstucts your normal bloodflow to the feet and can cause varix. 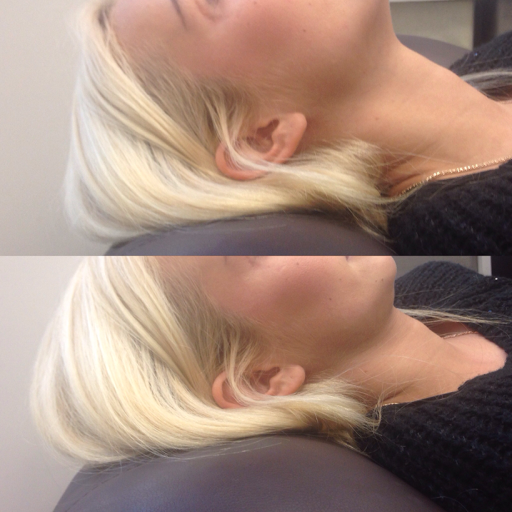 Position your client in way that her head is as close to you as possible to prevent excessive forwardbending. Pay attention to your hands - try not to support them on sharp table edges or sufaces. If needed, support your arms with a towel (especially if you are a nail artist). Boldly place your hands on your working space. 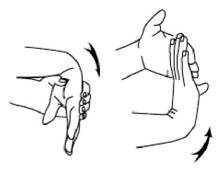 When holding hands lifted, you produce muscle tension in your neck and shoulders, without noticing it. Plan enough time for each customer. When rushing, we tend to tense up and ignore correct ergonomics. Also take care with the cutomers ergonomics. 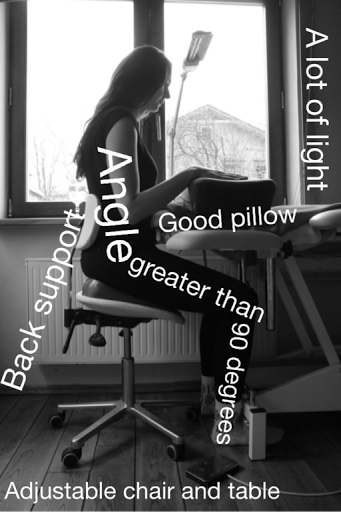 If you are working with a massage/cosmetologyst table, place a pillow or a rolled up towel under the clients knees. This helps to relax the clients lower back. Both, on the table and chair, the client is able to flex the knees or rotate the legs to the side. Allow or sometimes even ask the client to move a little when you are doing something else. Very important is also to support the clients neck with a proper pillow. Pay attention that the clients head is not bent backwards too much. I started using Ruthie Belles pillow, the customers like it and I have more space for my lash stuff. Place all of your equipment close to you - frequent bending in one direction causes unilateral tension. Try to position yourself in the room so you can see the door - if it is behind you, you tend to bend and rotate too much in one direction. There have been studies saying that when you have something on the walls - a poster, picture, a mirror, you are more likely to look up and around in the room while working. You can use it when changing your adhesive, curing etc. An adhesive ring and a lash bug is ideal to eliminate a lot of excessive rotation. Be physically active and work out! This gives you energy and enouch muscle stenght and stamina to put up with the long hours in the salon. Why not to train together with your colleagues? Usually it is more difficult to say no to others than to yourself :). You can also train your eyes! For example on your lunchbrake, focus on one object close to you for 5 seconds so you can see it clearly. Then move further a couble of meters and focus on a different object. The last object could be a house in the distance. Repeat for a few minutes. Video of this exercise here. Ergonomics advice for hairdressers here.